Few things can express how indescribably happy it makes me to sit on the ground and paint my little heart out for hours on end.. Getting lost in the music, the way the colours dance together, the way my mind wonders off and opens up and suddenly my fingertips are just a portal for the depths of my mind to come to life.. Nothing matters. But at the same time, everything does. That's all art has ever meant to me, that's all it's ever meant to be. 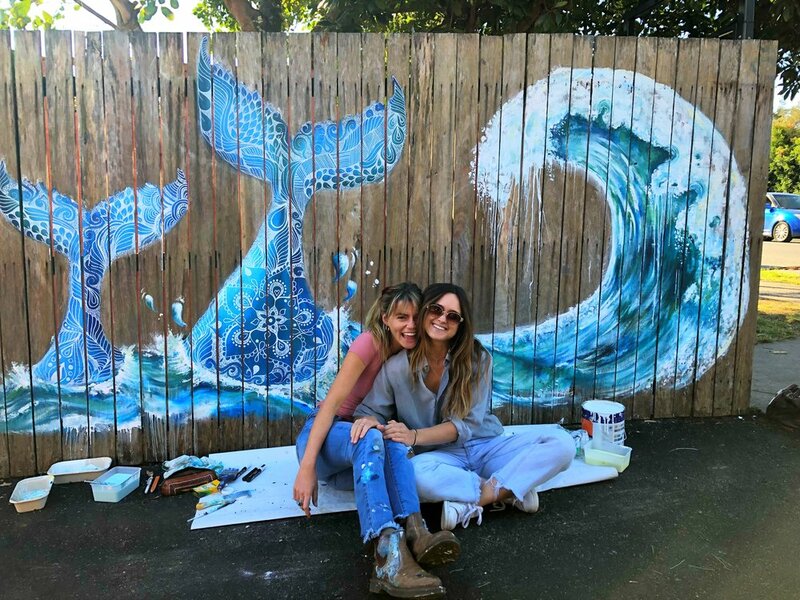 My deepest thank you's to the Byron Bay General Store for never saying no to my crazy ideas, my sweet and talented friend Annabelle for painting this dream to life with me and of course (and corniest) the Universe, for conspiring together to put us here - putting colours on a wall and calling it a days work. Or weeks, months.. Because who's even counting when you're having this much fun? Here are a few snippets from our adventure so far.. It's not over yet! Me and Belly starting part two..